Which singer's beach video do you like better Joseph Carrillo's Black Beach Cruiser or Rebecca Black's Malibu Cover? Watch the two Beach Music videos below. 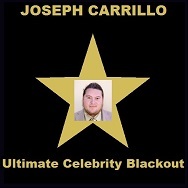 Rebecca Black and Joseph Carrillo are both talented singers and enjoy challenging performances. The YouTube videos below are both professional music videos with Beach scenes. Both music videos are made by professional singers and both singers are serious recording artists with celebrity status and notoriety. 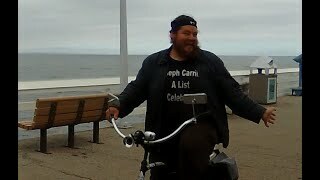 Joseph Carrillo's Black Beach Cruiser was filmed in Santa Cruz California, while Rebecca Black's Malibu Cover was filmed in Malibu. Black Beach Cruiser has Joseph riding a Black Beach Cruiser with chrome handlebars while wearing a black leather jacket in one of the scenes, while the Malibu cover has Rebecca in a Black dress in one of the scenes. Watch both of these YouTube videos to see what beach and or singer you like better.